The Backstage Pouch Medium, developed with Balmain’s backstage stylists, is especially created to carry all bare essentials of the session stylist! 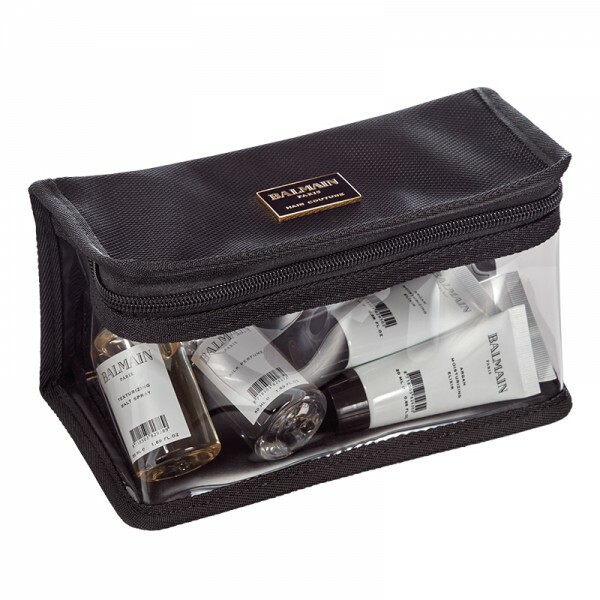 The medium sized Backstage Pouch is perfect to hold all smaller sized essentials and travel sizes! Features transparent sides that instantly reveal the products inside.